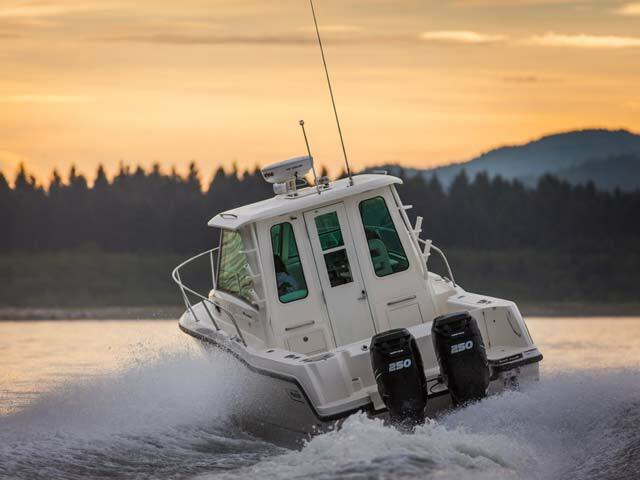 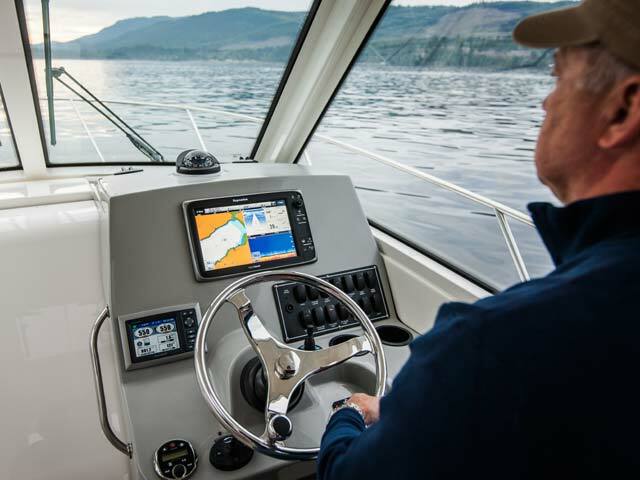 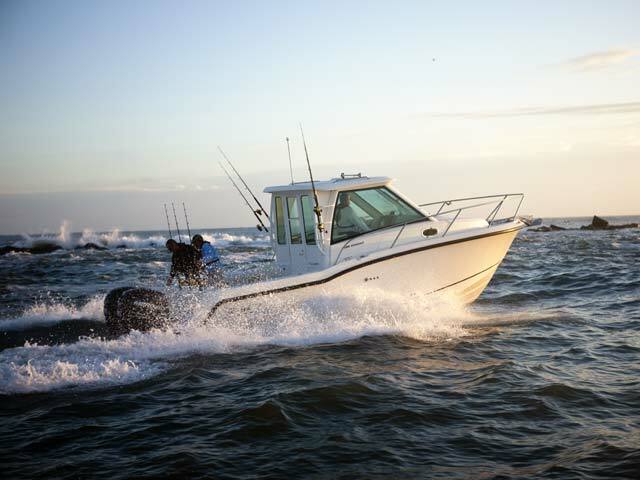 There’s no stopping the 285 Conquest Pilothouse. 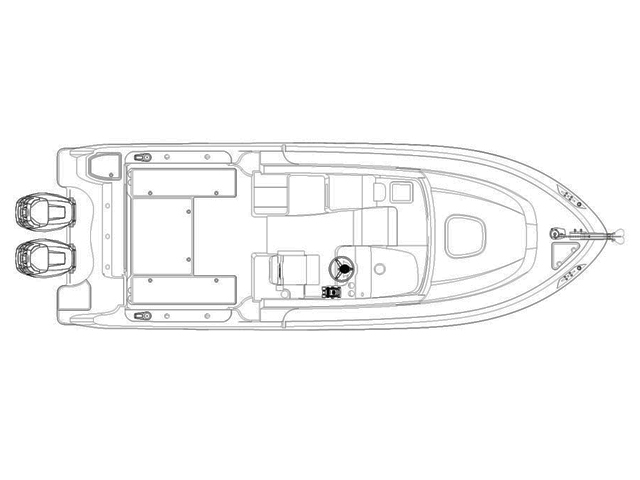 An enclosed wind shield with aft bulkhead and door offers unobstructed visibility and weather protection, and optional cockpit diesel heating is also available. 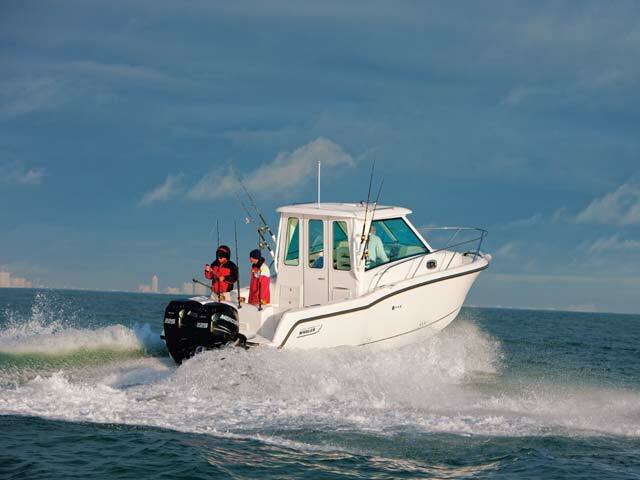 Below deck, the cabin offers all the features of the open 285 Conquest—meaning this Pilothouse boat is as well suited for leisurely cruises with friends as it is for serious offshore fishing excursions. 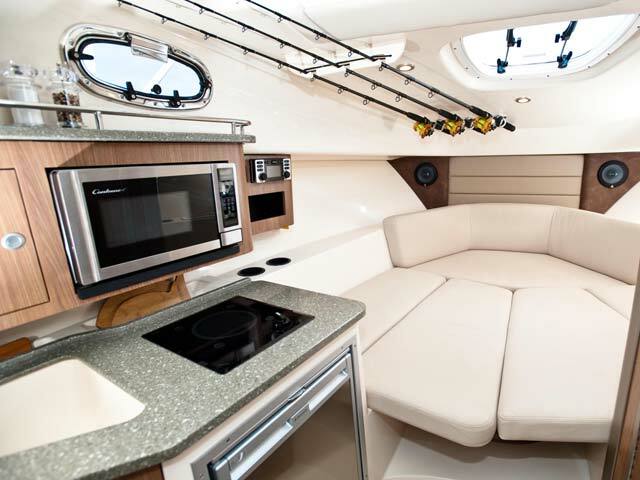 A large multi-purpose prep station above deck keeps fishermen nicely equipped for the task at hand. 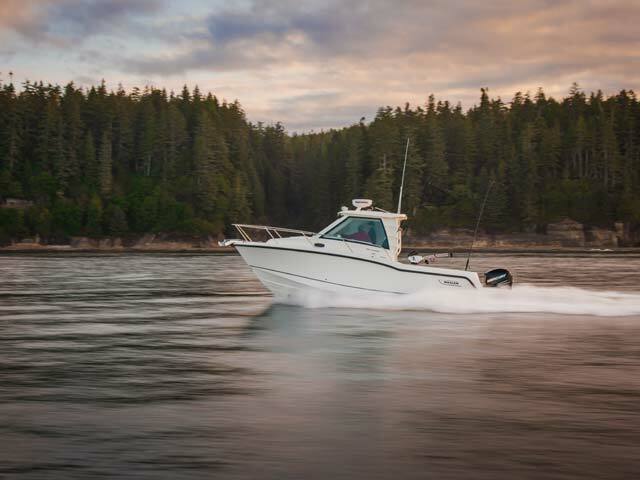 With leading performance, power, handling and design, the Boston Whaler 285 Conquest Pilothouse is a force you’ll want to reckon with.